Invotra cuts through the complexity of the modern workplace, uniting a diverse and dispersed enterprise organisation through a secure, flexible cloud solution. 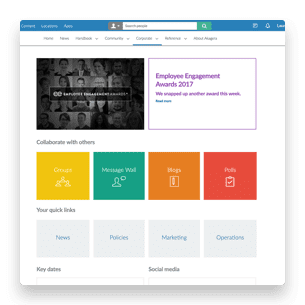 Our intranet and portal product allows for advanced information management, social networking and collaboration; any time, on the go and across any location. 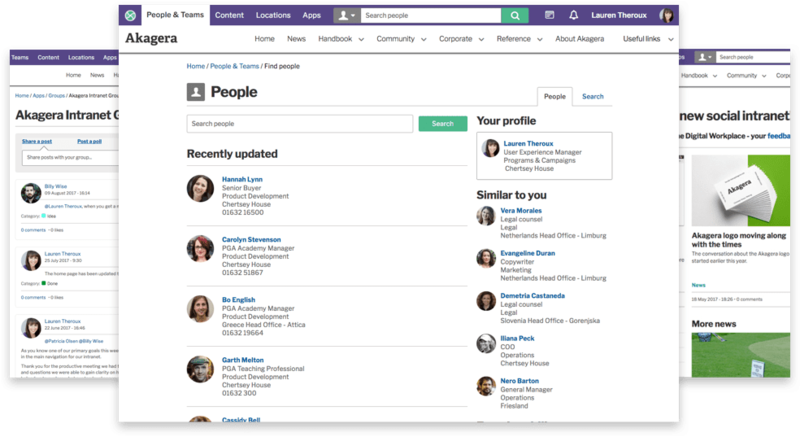 Transform your business with an Invotra intranet product. Support your people to do their best possible work by providing them with up-to-date business knowledge and learnings. Using our powerful content authoring, review and search functions, your employee’s can create beautiful designs using simple drag and drop interfaces. Our SaaS Agile model saves you upfront costs, giving you continued improvement as we adapt our product to your changing business requirements. Nurture a variety of important relationships, engaging people, agencies and external third parties using Invotra Portal. Easily extend your user base, providing controlled access to users outside of your organisation as and when you choose. Expand access to your knowledge repository to associated departments or agencies, with section specific viewing permissions and integration with multiple directories.